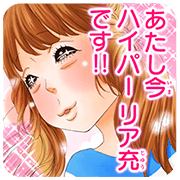 http://www.line-stickers.com/ – NO LONGER HEROINE Line Sticker | Popular girls’ manga “No Longer Heroine” from Bessatsu Margaret has already been made into a hit movie – now the series has its very own stickers on LINE! 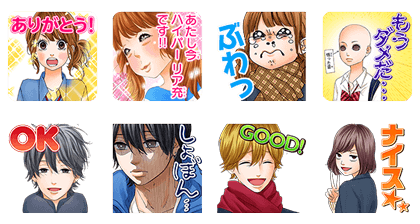 Download any volume of the series on LINE Manga to get this set for free. Cosmo the Hard-Boiled Kindergartner KAWARETE SOUROU. The beautiful Duckling SHARE-DAN! !